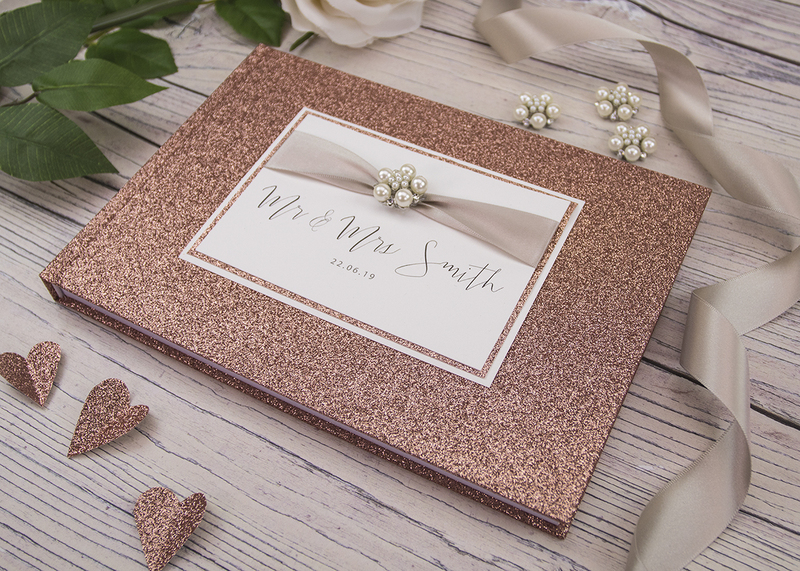 A 'gathered' or 'pinched' ribbon below an embellishment is a popular style of decoration in wedding stationery and can not only be used on your wedding invitations but on all of the 'on the day stationery' including guest books. You've been planning your DIY wedding stationery for some while and have been wondering how to create that really neat pinched ribbon effect that you see on so many invitations. You've thought about your design, worked out your typesetting printed and cut all your invitations and now you're ready to assemble them. The easiest and quickest way to create a 'pinched' or 'gathered' ribbon effect is by using a glue gun. You simply add a little glue beneath the ribbon and before the glue has a chance to cool 'pinch' the ribbon together with your fingers and then flatten it. You can add the glue at any time during the assembly process, whichever you find easiest. You can see this process and just how quick and easy it is in the video below. 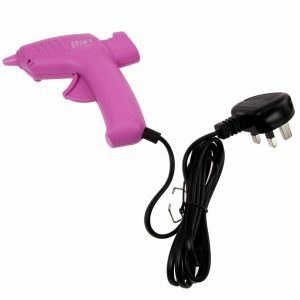 A glue gun is a worthwhile investment if you're making quite a few wedding invitations and plan to make your 'on the day' stationery as well. Making your invitations will be faster using a glue gun but if you're keeping costs low then there is another way! Most of us have a leftover reel of thread lying around and in this second method you simply tie a knot around the centre of your ribbon and this will create the gathered ribbon effect in the same way as the glue gun. We show you how in the video below. 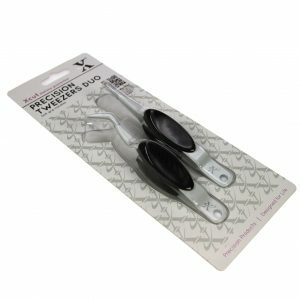 This handy tweezer duo set includes a set of tweezers and 'clamp' tweezers which really help when you need an extra pair of hands!